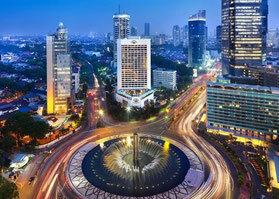 Indonesia offers vast opportunities for selling products and services. Markets in many areas are growing and so is the high demand for products, materials, and services from foreign countries. This makes Indonesia an interesting market for foreign producers, traders, and service providers. Getting in touch with potential customers and having a presence in the Indonesian market are two of the most crucial issues for foreign companies. Indoconsult Sales Force gives you the opportunity to easily access the Indonesian market without making a big investment. We offer a variety of service packages, which enable you to sell your products in Indonesia. If you have questions or want to hire our services, just contact us. Our consultants are pleased to answer your questions and support your business in Indonesia.